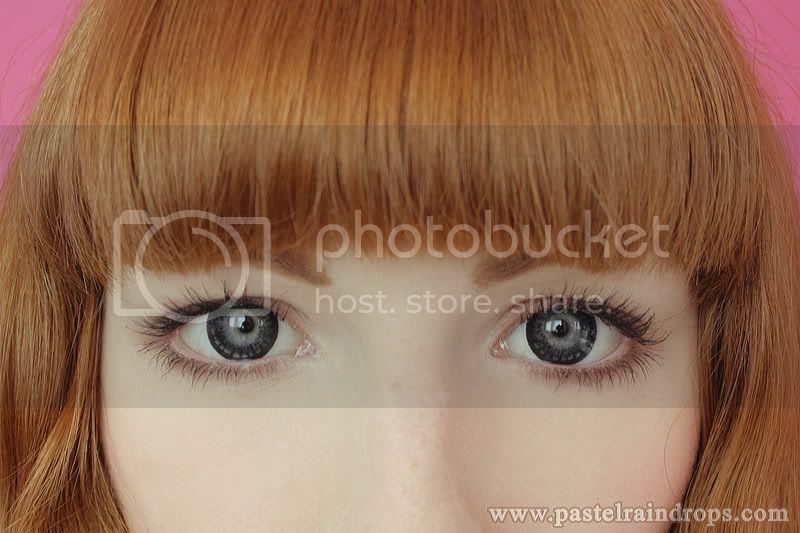 Finally I get around to show you the lenses I got last months! I've been dying to do this review but whenever I planned to take pictures for it something got in my way. This time, however, I will present them to you. 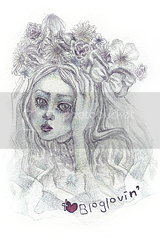 Maybe you've already spotted their lovely banner on my sidebar and if you didn't already it's time to check it out. Shoppingholics kindly asked me to do a product review for them and now here I am. They offered me to choose a pair of lenses and trust me, this just came right. Because a while back one of my dear readers recommended me the Princess Mimi/Bambi lenses and ever since I saw pictures of them I really wanted to try them out myself. So guess what lenses I chose to get from Shopping holics? 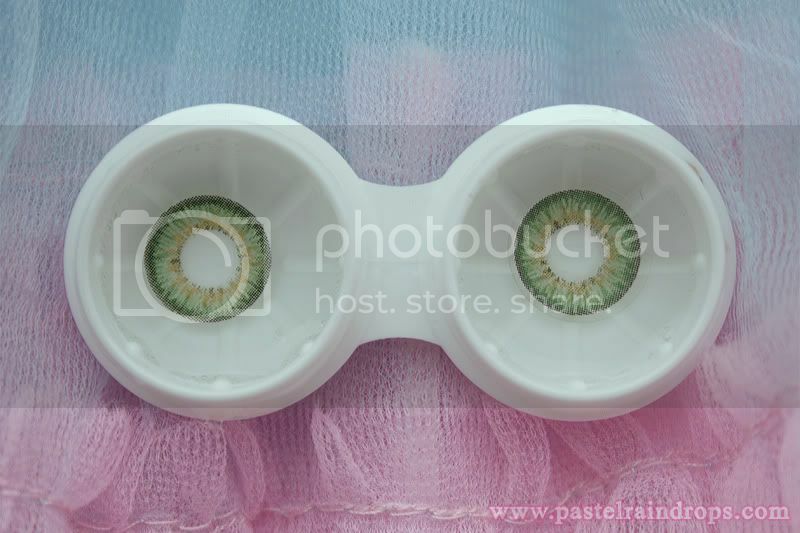 Right, Bambi lenses in Apple Green! And on top of that, as if that wasn't already enough, they threw in a pair of Hana SPC Hyper Circle lenses in black for me to try out. Both in my prescription of -1.25 which also gave me the opportunity to try out prescription lenses for the first time in my life. What can I say? Shoppingholics is a very lovely shop! The lenses got to me in no time and it took only about a week for them to deliver them to me. Besides circle lenses they also sell a range of Asian cosmetics and Make-up, so it's worth to take a look! Now that I've already tried out a couple of different lenses I can also say a bit more about them, I think. And compared to the others I have, these are by far my favorites! The only ones that I like almost as much would be my Shinny Aqua & Green lenses. They are really easy to put in -and I can assure you, this is always the thing I have the most problems with- and very, very comfortable to wear. They are also very light, thin and elastic which makes them easy to handle. My favorite thing about these is the colour and texture, though. They blend in really well with my natural eye colour and look almost natural. To me this is very important because that sadly doesn't go for all lenses and with light eyes it's always a bit harder to find nice lenses, or so I feel. 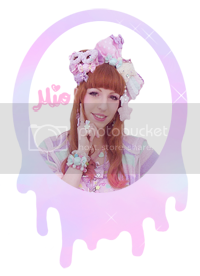 The enlargement effect of these is also pretty nice but I guess the pictures can already tell about that. I can definitely recommend these lenses! They are just wonderful and I'm super happy to have them! These lenses were a bit stressful to get in my eyes because I would constantly get lots of air under the lens and they just wouldn't stay on my eyes. It was almost as if they wouldn't fit me, though that most likely wasn't the reason, and it took me a while and some trick to make them stay. Before they would fall out as soon as I tried to blink. But then I lifted my eyelid over the lens as soon as it was somewhat on my eye, closed it and gently pressed the air under it away and voilá, it worked. Still, this wasn't really what I expected and of course my eye was a little sore after that. Once they were on my eyes they were pretty comfortable, though! Same as with the ones above, they are very thin and elastic and I could barely feel them, so that was really nice. Then the thing I don't really like about these lenses is their texture. The colour is nice, a plain, classic black and surely nice for the enlarging effect. Because even though they are a bit smaller then the Bambi lenses I don't think they look like they really are. 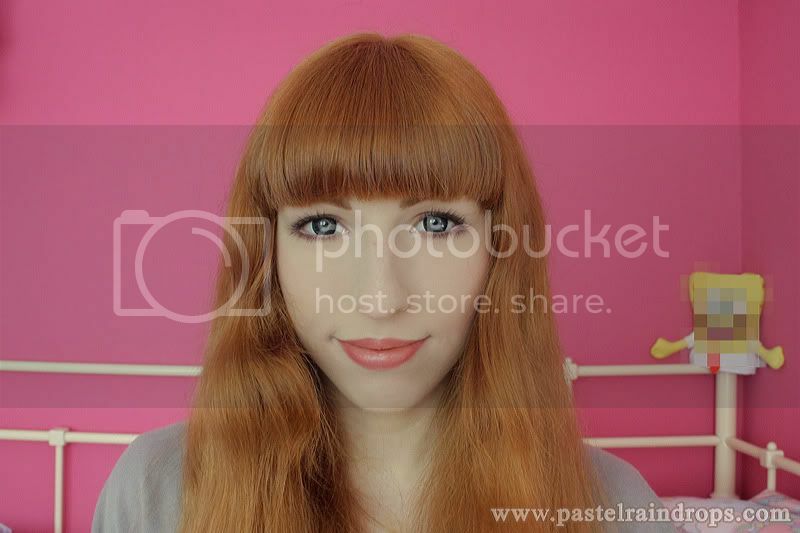 However, the texture doesn't blend in with my eye colour at all because the inner circle is just too harsh. This is probably not so visible in darker light, when the pupils are bigger, but in natural light it looks a little awkward and isn't really my thing. 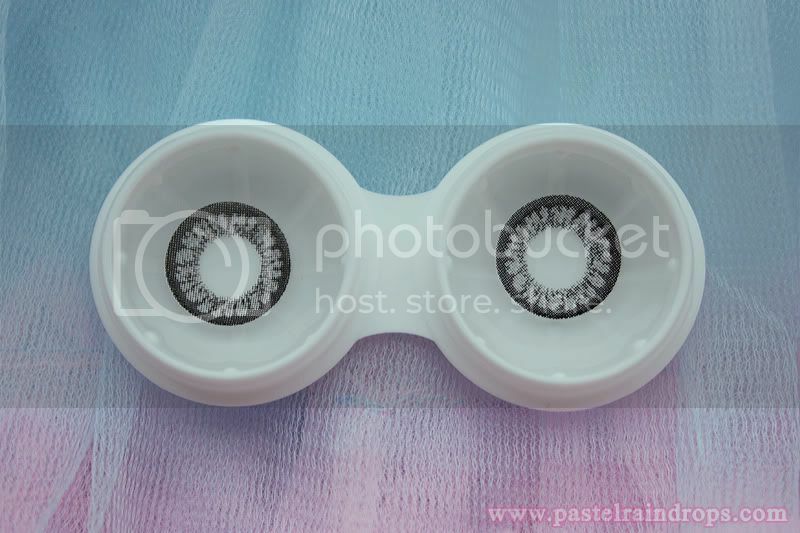 So these lenses are probably better for people with darker eyes, I bet they'd look lovely then. Pretty lenses but just not the right thing for me. Also a little hard to put in but then comfortable to wear. So, I hope you liked the lenses and maybe this is helpful for some of you! 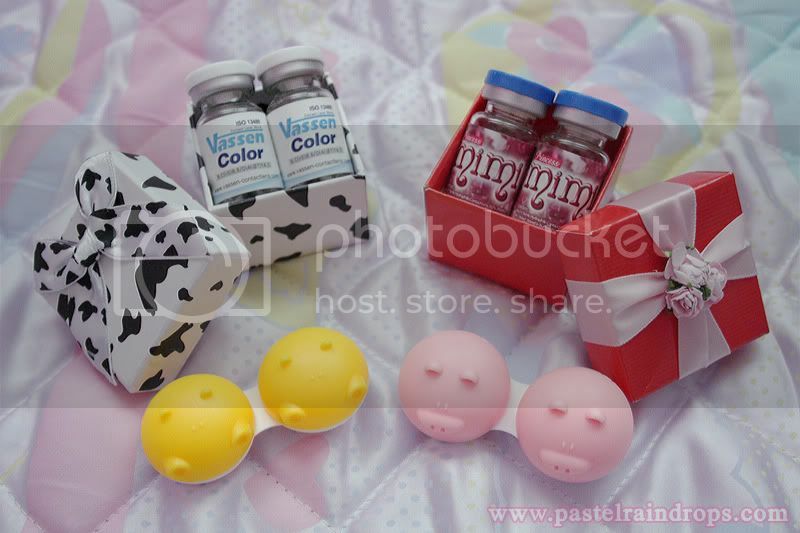 Thanks again to Shoppingholics for the lovely lenses and to the anon who recommended me the Bambi lenses! how adorable! your eyes look sooooo beautiful with those lenses on. if i saw you on the street with eyes like that, i'd probably stare way too long haha. PS I'm hosting a giveaway on my blog, it's open worldwide! my god green is beautiful, I'm from Brazil and have a little time to follow you. A trick is to move the contacts in a circular motion in your eye to get rid of all the air bubbles before blinking. ohmygosh, I loove them, especially the green ones! Very cute! I'm really curious about the lenses, how long can you use it ina day without hurting your eyes? They all look amazing! 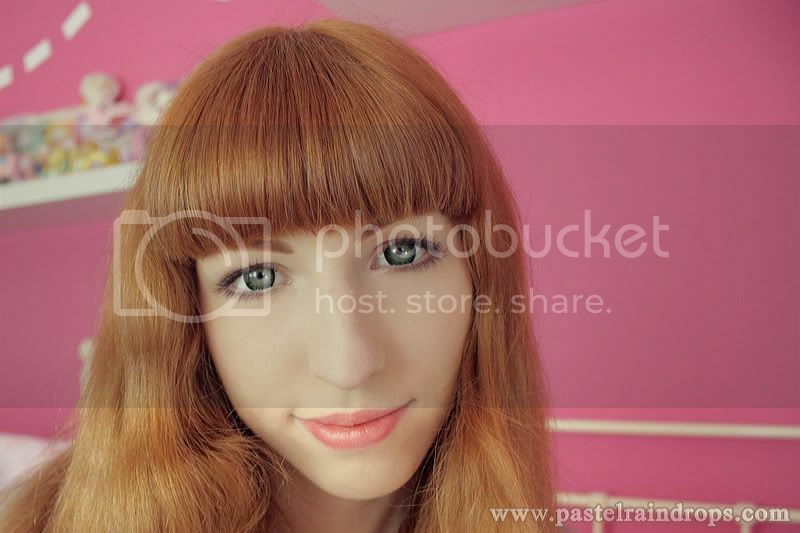 Circle lenses are so much fun, I have a whole bunch myself ~ I find they seem to show up the best in photos though. I bet you do! I wouldn't understand how someone wouldn't like them, they're like perfect! You do? Haha~, I don't know, I think they look a bit artificial because they don't blend in with my eyes that much.